Kosel, a wildlife watcher and advocate for all animals, never misses the opportunity to educate others about the mistreatment and abuse of animals in South Dakota and beyond. She was called to action by the murder of a neighbor’s dog in 2008 and led the effort to pass a felony animal cruelty law in South Dakota. Battling for more than five years, Kosel worked with the state vet and Ag entities to find a compromise and propose SB 46 to the South Dakota Legislature in 2014. The bill passed and became law on July 1, 2014. Kosel was raised in South Dakota and her passion to advocate for animals is even stronger now. By day, she is a program director for the arts and she volunteers her time with local shelters and rescue groups. Kosel lives with her husband Joe outside of Lead with her lab Payton, and rescued cat, Bear. As the co-founder of SD FACT, she now oversees all operations from budgeting and financial management to outreach and day-to-day operations. 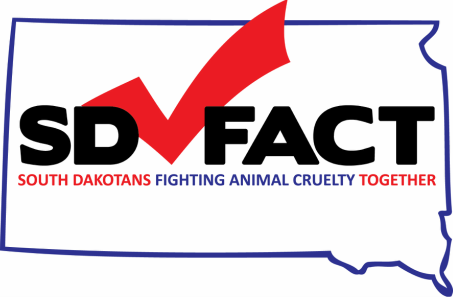 Recent Awards: ALDF Top Ten Animal Defender 2015, May 5, 2015 Governor Proclamation "Shari Crouch Kosel Day" in South Dakota. Parker’s compassion for animals began at an early age, growing up on a farm and later moving to Mitchell. Her past experience working on political advertising campaigns opened her eyes to the fact that a motivated few can have a tremendous impact on issues. Parker believes those who do step up for what they believe in can really make a difference. To this end, she is an active animal advocate who worked for more than 5 years to enact felony-level penalties for animal cruelty in South Dakota. Parker is the co-founder of SD FACT and she spends her days as a media buyer/planner & marketing consultant, and volunteers her time with local animal rescue groups. Parker lives in Sioux Falls with her husband Dean and their two rescued pit bull mixes, Aluna and Cesar. As the co-founder of SD FACT, she orchestrates social media and public engagement.